Never a better chick flick than something from Hallmark Entertainment. And Zac Efron with a horse. Over the weekend, I felt like I needed horsey inspiration before I dive into my next book in my series for Aladdin MIX. So, I got three horse movies, two of which I’ve never seen before. 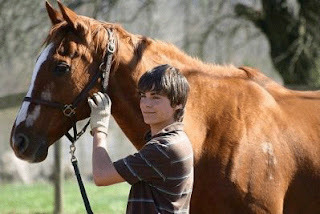 The first, The Derby Stallion, came out in 2005 and stars Zac Efron. The film won several indie awards, but honestly, I just didn’t get it. The story was decent, but the odd camera angles and the fact that Zac couldn’t ride well, made for lots of cut away shots and not much horse action. Next, I watched The Long Shot, from Hallmark Entertainment. It’s a made for TV movie and really, really good! There were lots of correctly done dressage scenes, which was perfect since dressage is my weakest area. Plus, I really liked Julie Benz and I don’t think I’ve seen her in anything else. 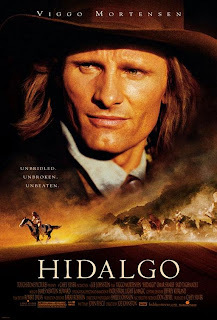 Finally, I watched Hidalgo (Viggo Mortensen, yum!) and loved it. It’s the second time I’ve seen it and I liked it more this time. The main horse, Hidalgo, is a Mustang and since my new YA is about Mustangs, it was good timing. Anyone else use movies to give you inspiration for your latest manuscript? I do the same with watching movies! And I really enjoy Viggo! Oooh, I've never seen that one, Keri. I'll have to check it out!